I very much enjoy making fun of Burning Man attendees. I did it last year. I did it before I worked at Jezebel, when I lived in the Bay Area (I pray all of you will one day experience the glory of a burner-free San Francisco weekend). I hope I live to do it again. There's just so much to work with, especially now that Silicon Valley has taken over the playa, from bros outsourcing tricked-out bikes via Task Rabbit to "venture communists" making deals in the dust. 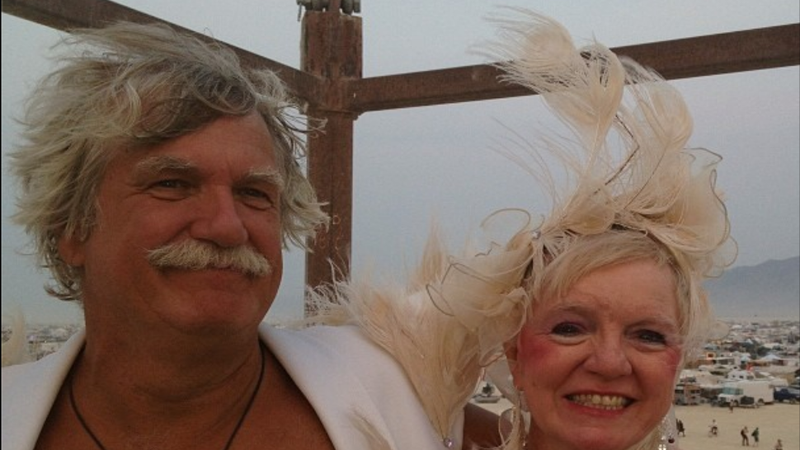 But these photos HowAboutWe compiled of love at Burning Man are pretty adorable. And if you search Instagram you'll find lots more. Everyone deserves love, even people partying under a giant golden Facebook like.